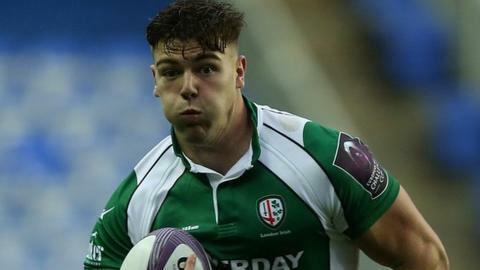 London Irish suffered a painful European Challenge Cup defeat in France as they were beaten by a last-gasp breakaway try at the Stade Des Alpes. With the Exiles camped on the Grenoble line, the home side broke clear to score though Clement Grelin. Grenoble had led 14-0 inside the first 11 minutes after early converted tries for Arnaud Heguy and Fabien Alexandre. But converted tries for Johnny Williams and Jebb Sinclair gave Irish hope as they briefly led after the break. Young centre Williams scored for the second week running, Chris Noakes adding the extras. And, although Gilles Bosch then added a penalty to his two earlier conversions, Irish pulled it back to 17-14 at the break when they scored again through flanker Sinclair. Two early second half penalties for Theo Brophy-Clews, who had also converted Sinclair's try, edged Irish in front, only for Bosch to quickly tie it up again at 20-20. Winger Alex Lewington then came close to winning it for the visitors when he was stopped metres short with just two minutes left, but instead it was the home side who had the final word with Grelin's try, converted by Christophe Loustalot. Edinburgh now lead Pool 5, having built on last weekend's 28-10 win over Grenoble by winning 27-6 in France against Agen, who lost 48-10 to Irish last weekend. Grenoble: Aplon; Dupont, Estebanez, Hunt, Kilioni; Bosch, McLeod; Barcella, Heguy, Edwards, Hand (capt), Percival, Kimlin, Alexandre, Grice. Replacements: Jammes for Heguy (14), De Kierk for Edwards (51). Taumalolo for Barcella (51), Gelin for Bosch (64), Loustalot for McLeod (64), Mignot for Hunt (71). London Irish: Maitland; Lewington, Tikoirotuma, Williams, Ojo; Noakes, Allinson; Court, Ellis, Aulika, Sheriff, Symons (capt), Sinclair, Trayfoot, Narraway. Replacements: Brophy-Clews for Noakes (28), Franks for Aulika (47), Sisi for Sheriff (53), Treviranus for Narraway (53). Steele for Maitland (58), Smallbone for Court (75).